You may remember the fun USB Owl we featured on the site previously, well now there are a couple of new versions available. 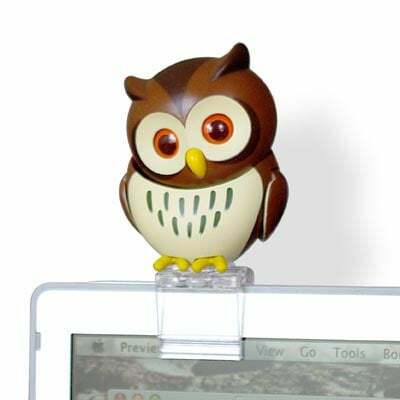 Plug him into any handy USB port and he can perch on top of your laptop with the included clip, or set him on top of his comfortable stump. Push the button on the back to choose from three owlish moods; Active, Mellow, or Sleeping. 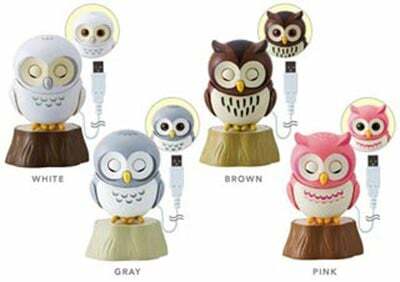 These new versions of this fun USB Owl are available to buy online for $19.99 from Think Geek.